Prime Minister Justin Trudeau made international headlines in November 2017 by deciding not to sign an agreement-in-principle on what has become known as TPP11. The new deal will forge ahead without the United States, opening distant new markets at a time of uncertainty closer to home. But APMA President Flavio Volpe says the deal isn’t good for Canada’s auto sector. The announcement of the new pact came just hours after a Canadian government official told The Canadian Press that Ottawa believed a deal could be struck, even as it pushed for more progress on negotiations surrounding the automotive and cultural sectors. The risk for automotive component risks is controversial. In a sector considered key to the deal, Canada managed to get a bilateral arrangement with Japan to resolve non-tariff barriers, including a binding dispute settlement mechanism, according to an official. The official also said that a bilateral agreement with Malaysia to adjust auto rules-of-origin was reached, and another one was being finalized with Australia. But Volpe offered a scathing reaction, telling Automotive News Canada that non-tariff barriers “immaterial” to Canada-based suppliers when it comes to market access overseas. Volpe said this agreement moves Canada in the exact opposite direction of where its most important customer and powerful next-door neighbour is headed — right in the midst of sensitive negotiations. He said the United States is pushing for a new NAFTA that increases domestic content requirements, and keeps Chinese parts out of North America — but the revamped TPP deal moves Canada and Mexico the opposite way, reducing local requirements and letting more product from non-TPP countries like China into the supply chain. "This could not be a dumber move at a more important time," Volpe said in an interview. He accused Champagne of chasing a legacy item, without regard for how it might affect the far more important NAFTA negotiations — literally unfolding this week in Montreal: "We're trophy hunting," Volpe said. "This makes us look weak in front of U.S. [NAFTA] negotiators," Volpe told Automotive News Canada. Volpe also said that Canada caved into countries that really wanted a deal, without extracting much new in return. He noted that trade with these countries pales in comparison with the United States: "New Zealand," he said sarcastically, naming one TPP country: "That huge market we've been waiting our entire lives to crack." "This isn't the kind of transparent governance Cdns were promised," the Unifor president tweeted. "Let's be clear, the TPP is the worst trade deal ever!" Prime Minister Justin Trudeau defended the deal, though. The deal comes exactly one year after U.S. President Donald Trump withdrew his country from the agreement, leaving Japan as the largest player in a new 11-country pact that spans two hemispheres and includes the U.S.'s neighbours. 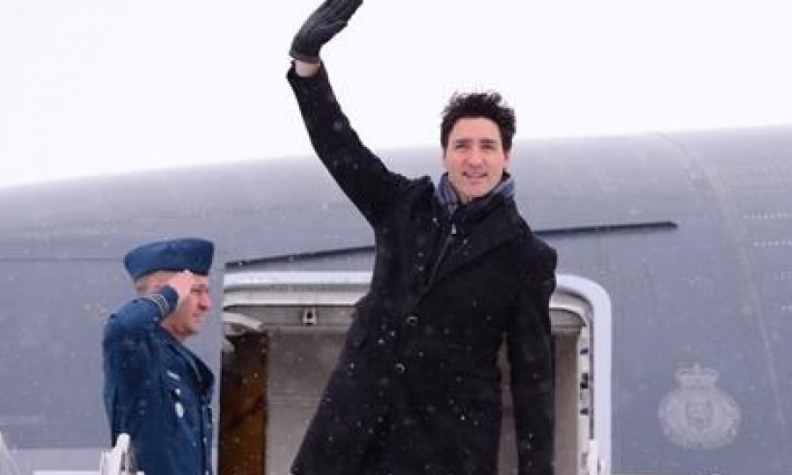 Asked by reporters whether he was aware of the deal, Prime Minister Justin Trudeau said while walking past them at the Davos economic summit: "Who do you think has been working hard at it behind the scenes." The agreement follows two days of high-level talks in Tokyo and was confirmed by a spokesman for International Trade Minister Francois-Philippe Champagne. The partners are now expected to work toward signing the agreement by early March. Trudeau made international headlines there by deciding not to sign an agreement-in-principle on what became known as TPP11 following the U.S. withdrawal. Trudeau's decision in Vietnam to continue negotiating for a better deal, rather than striking an agreement, led to the abrupt cancellation of a TPP leaders' meeting in Danang. The government official said Trudeau had been bringing up the Asia-Pacific trade pact in recent months every time he's had conversations with leaders from the other partner economies. Over the last week, he discussed the deal with the leaders of New Zealand and Chile by phone. Trudeau also dispatched well-connected Vancouver Economic Commission chief executive Ian McKay as his personal envoy at this week's negotiations in Japan, the official said. McKay joined Canada's chief and deputy chief negotiators in Tokyo for two days of talks that were scheduled to wrap up Tuesday. Most importantly, the deal will open up access for Canada to Japan's economy, the third-largest in the world. Canada's agricultural, seafood and forestry sectors would see some of the greatest benefits, the official said. They added that Trudeau's principal secretary, Gerald Butts, met with Japan's ambassador last week to discuss the deal.